Health care employers are using creative strategies to attract and retain registered nurses amidst the current shortage of nurses in the workforce. State officials are predicting that the shortage will get a lot worse before it gets better. According to the Oklahoma State Department of Commerce, there will be a shortage of 3100 hospital nurses in the next five years. The figure does not take into account the unfilled spots in clinics, long-term care facilities, physicians’ offices, schools, and home health care facilities. The job outlook for registered nurses is positive and will remain positive over the next decade as the baby boomer population increases demand for health care services. A projected 19 percent growth rate by the Bureau of Labor Statistics places nursing among the fastest growing professions. The severity of the shortage in Oklahoma has employers using unconventional methods to relieve their overworked staff. From contract employees to imports and double and triple rates for weekend workers, employers are doing all they can, within budget, to meet the population’s healthcare demands. The associate degree in nursing (ADN) is designed for students who plan to enter the workforce in the shortest time possible. The preparation requires a two-year commitment, and graduates are eligible to take the NCLEX for registered nurses just as a graduate from the bachelor’s degree in nursing program. State officials and employers encourage enrollment in the entry-level program as it produces more professionals who are capable of relieving the current crisis in the sector. However, the shortage of teachers poses an altogether different challenge. Community Colleges turn away almost 35% of qualified applicants due to lack of qualified faculty to teach in the classroom and shortage of clinical spots. Understaffed nursing departments mean applicants must put their best foot forward to improve their chances of acceptance in the associate degree in nursing program. The associate degree in nursing program is available primarily at community colleges across Oklahoma. It requires two years of full-time study that includes general education and course nursing courses. There are 17 associate degree in nursing programs in Oklahoma to prepare adults for success on the licensure exam to obtain a registered nurse license. Graduates can take advantage of the abundance of employment opportunities in acute and long-term care settings. Although many RNs end their formal education at this point, remember that nursing requires a lifelong commitment to learning and pursuing a bachelor’s degree in nursing can broaden your opportunities and bring greater job satisfaction. The ADN curriculum includes theoretical coursework, laboratory practice in a modern lab, and clinical experiences in a real-world setting. It requires completion of 69 to 72 credit hours to obtain the associate degree. Students may need to complete prerequisite courses during the first semester. Nursing courses are typically designed to be completed in a particular sequence and may run concurrently with an accompanying clinical course. At the conclusion of the program, graduates will understand how to apply the nursing process in practice using decision-making, technology, and clinical reasoning, collaborate with other members of the health care team to assess, analyze, plan, provide, and evaluate patient care plans in the complex healthcare system, provide safe and quality nursing care, and practice in accordance with the expectations, ethics, standards, and legalities of the role. The associate degree in nursing program lays the foundation for further study in nursing. With an associate degree, licensure as a registered nurse, and experience in the field, an RN can enroll in the RN-BSN or RN-MSN track to take his/her career to the next level. Registered nurses pursuing a BSN degree can complete the BSN in 12 to 18 months. 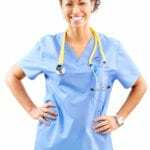 Nursing programs employ a selective admissions process as there are usually more applicants than there are available spots. A high school diploma or GED scores, acceptable pre-admission test scores, and completion of general education courses are some common requirements for selection. Submit all the required documents to the nursing department before the published deadline and seek advisement from a member of the department to determine your best course of action. Some schools host nursing information sessions that will provide details on the admissions process, requirements, and program expectations. Submit an application for admission and fee. Meet the physical requirements for the program. Complete the pre-admission test with an acceptable score. Request and submit official high school transcript or GED scores. Upon confirmation of the conditional admittance, you will need to provide documentation of meeting the health requirements, submit to a criminal background check, and provide a CPR card and a copy of your health insurance. The Associate of Science in Nursing is a 72-credit program that may be completed in 4 to 5 semesters. At an average rate of $125 per credit, the total estimated cost of $9,000. The final rate will be determined by the type of school, community colleges and public schools are usually cheaper, and whether the school charges a flat rate per semester or a per credit rate. Additional expenses for nursing students include uniforms, nursing pin, patches, special equipment, liability insurance, licensure exam fee, immunization, books, criminal background check, and TEAS V admission exam. A financial aid officer will be available to assist you with options for grants, loans, scholarships, and tuition waivers. In accordance with the Oklahoma Nursing Practice Act, nurses must hold a dated Oklahoma temporary license or valid Oklahoma license before practicing in the state. Those employed in certain federal facilities may be exempt from this requirement. A temporary or permanent license to practice is essential before orienting or practicing in a position that requires a nursing license. All candidates for licensure must verify their education, residency status, and submit fingerprint images for the purpose of a state and national background check. 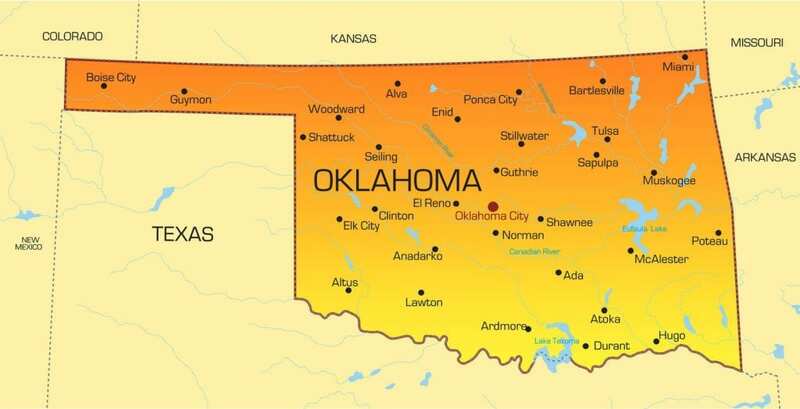 Registration in Oklahoma is mandatory as a registered nurse. Apply for licensure by examination if you were educated in a nursing program that is approved by Oklahoma or another Board of Nursing in the United States or U.S. territory and have not previously held an RN license in Oklahoma. In addition to submitting a completed application, you must register to take the NCLEX. Submit your application online through https://www.ok.gov/nursing/licensing/app/index.php. You may also submit a written request for a paper copy from the Board’s office. Include a postage-paid 8 ½ x 11-inch envelope with your request. Applicants must be 18 years of age. Note: You should submit your application to the Oklahoma Board of Nursing approximately two months (but no more than four months) before graduation to allow time for processing. Provide an email address on the application. Complete the Evidence of Status Form. If you are a US citizen or legal permanent resident, provide a copy of one of the documents listed under the acceptable documents to establish evidence of citizenship. If you are a qualified alien, you must original documents to the Board’s office to confirm your status. Provide fingerprint images for the purpose of a state and national criminal history records search. The search must be conducted through L-1, a Board-approved vendor, not more than 90 days before the receipt of the application for licensure. The vendor will provide the results directly to the Board. To submit your fingerprints, visit an IdentoGo center in Oklahoma to submit your fingerprints electronically. If you live out-of-state, request fingerprints from the Board to take to a local law enforcement agency to obtain fingerprints. The law enforcement agency must mail the fingerprint cards directly to L-1. If you answer “yes’ to the criminal charge, disciplinary action, or competency questions on the application, you must include a statement to indicate the date, location and circumstances of the event and the resulting action issued by a court of law of disciplinary board. Pay the application processing fee of $85 using a Visa, MasterCard, or electronic fund transfer if you submit your application online. For hard copy submissions, you must provide a money order, certified check or cashier’s check made out the Oklahoma Board of Nursing. Personal checks are not accepted. Ensure an official transcript of your education is submitted to the Board of Nursing. The school may automatically send the transcript to the Board after you graduate. Check with the program’s director to ensure that the transcript goes out. If you graduated from an out-of-state program, request that the school send an official copy of the transcript to the Board. It should include course descriptions. The application for Licensure by Examination remains valid for one year from the date it is received by the Board. You must complete all the requirements within that period otherwise you will have to submit a new application, fee, and accompanying documents. NCLEX-RN Registration: As part of the licensure by examination program, you must register with Pearson VUE on the website www.pearsonvue.com/nclex or at 866-496-2539. Provide your email address to receive updates from the testing service. Pearson VUE will provide an Authorization to Test letter after your application has been approved by the Oklahoma Board of Nursing. Your registration will remain effective for one year while your await approval from the Board or take the exam. You’ll have 90 days to schedule and take the exam after you’ve received your ATT. If you do not take the exam within 90 days, you’ll forfeit your fee and must re-registered. Pay close attention to the documents you must take the center on your test day. A registered nurse who holds an active unencumbered license from another state, territory or country may apply to practice as a registered nurse in Oklahoma through licensure by endorsement. Pay the application processing fee of $85 using a Visa, MasterCard, or electronic fund transfer if you submit your application online. For hard copy submissions, you must provide a money order, certified check or cashier’s check made out the Oklahoma Board of Nursing. Personal checks are not accepted. Add $10 to the total if you’re requesting a temporary license. Submit the application online for endorsement with a request for a temporary license if you require a temporary license or select “Y’ on the first page of the application if submitting a hard copy. Provide a copy of legal documents indicating your change of name if your current license is not in your present name. Verify your licensure status and completion of a board-approved program. You must also include the type of degree and date conferred. License information must be confirmed from the original state of licensure. Verification may be complete by logging on to nursys.com if your state of licensure is a member. If your original state is not listed on the site, you must contact them directly to have the verification completed. All documents must be sent directly to the Oklahoma Board of Nursing. If the state does not verify nursing education, you must make arrangements to have your official transcripts submitted to the Oklahoma Board of Nursing. Verify your continuing qualifications for practice. Have your employer submit an Employment Verification Form if you worked as a registered nurse for at least 520 hours in the last two years. Separate forms must be submitted for each employer verification and sent directly to the Oklahoma Board of Nursing. Submit an official transcript or certificate of completion for a board-approved nursing refresher course if you have not worked for at least 520 hours during the two years before submitting an application for endorsement. Fingerprint images for the purpose of initiating a state and national criminal background search. Temporary licenses are valid only for 90 days from the date of issue. The application for Licensure by Endorsement remains valid for one year from the date it is received by the Board. You must complete all the requirements within that period. Otherwise, you will have to submit a new application, fee, and accompanying documents. Pay the application processing fee of $125 ($85 fee plus $40 for the Education Equivalence Evaluation) using a Visa, MasterCard, or electronic fund transfer if you submit your application online. For hard copy submissions, you must provide a money order, certified check or cashier’s check made out the Oklahoma Board of Nursing. Personal checks are not accepted. Add $10 to the total if you’re requesting a temporary license. Complete the requirements for CGFNS credentials evaluation or certification. Contact the Commission on Graduates of Foreign Nursing Schools to apply for a Health Profession and Science Course-by-Course Report or Credentials Evaluation Service Professional Report. If you hold a CGFNS Certificate or VisaScreen Certificate, contact the CGFNS to request a copy be sent to the Oklahoma Board of Nursing. Verify your licensure status. You must also include the type of degree and date conferred. License information must be confirmed from the original state of licensure. Verification may be complete by logging on to nursys.com if your state of licensure is a member. If your original state is not listed on the site, you must contact them directly to have the verification completed. All documents must be sent directly to the Oklahoma Board of Nursing. Renew your license biennially, in even years, before the end of your birth month to maintain an active license. Renewal may be initiated up to three months before the license expiration date. The Board of Nursing will send a renewal reminder to your last recorded address. If you do not receive the reminder, you are still responsible for renewing on time. Renewal should be submitted online, and the fee of $75 paid using a Visa, MasterCard, or electronic fund transfer. You may submit a written request to the Board for a hard copy of the renewal application and pay the fee using a money order or cashier’s check. If your license is inactive, suspended, lapsed, or revoked, or if you are not compliant with the Oklahoma Tax Commission, you will not be eligible to complete the renewal online. You may submit a request to change your name or address during the renewal process. Complete at least 24 contact hours of continuing education related to nursing. Complete at least 6 academic semester credit hours of nursing coursework. You must verify, at the time of renewal, that you have met the continuing qualifications for practice. At this point in time, students enrolled in the two-year associate degree in nursing program will pretty much have their pick of jobs after graduation. Many of them are even approached by employers during their clinical rotation due to an existing shortfall in the workforce. From the metropolitan areas to the outback the services of professional nurses are in demand. Data from the Oklahoma Department of Commerce revealed monthly job postings of close to 5,000 vacancies with average monthly hires of 3,400 in one year. As more than 25 percent of the nursing workforce in Oklahoma are expected to retire in the near future, there will be more demand for qualified nurses. Rural hospitals are hit the hardest by the nursing shortage. They often have to compete with employers in the metro areas to attract the best talent. Most nurses flock to the largest cities, especially OKC and Tulsa. To compete with these big-city hospitals, rural employers may offer attractive compensation packages, sign on bonuses, and other incentives to attract both lower-level and highly specialized nurses. 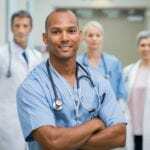 Tuition loan replacement, scholarships, and internships for nursing students are some common efforts put forth by employers in their recruitment drive. The abundant opportunities for nurses, new and old, have affected enrollment in the entry-level BSN to some degree. While the Institute of Medicine and American Association of Colleges of Nursing are advocating the BSN as the degree of the future, enrollment in the associate degree is up as candidates seek the fastest route to employment as a registered nurse. Those who earn the right to practice through the associate degree must consider the value of the BSN and enroll in the RN-BSN at a later point because industry requirements can change at a moment’s notice. The annual mean wage for registered nurses in Oklahoma is $60,630. Geography, position, experience, education and the demand in your region will determine your compensation.